Ms. Lewanda Lim was represented by her sister, Luisa Ma. Melendez Ortega, together with the University Librarian, Mr. Rodolfo Tarlit and UARD and Special Collections Head Librarian, Ms. Eimee Lagrama (middle). 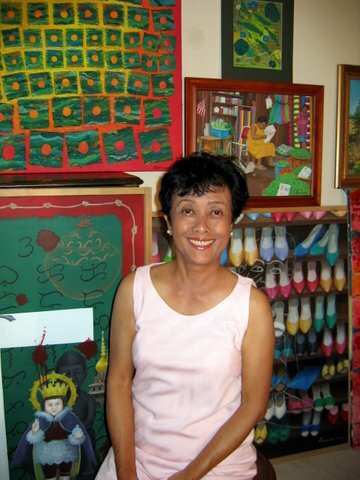 Ms. Lewanda B. Melendez-Lim (BFA 1966), a former faculty member of the College of Fine Arts donated her artwork, Anak May Sakit, Albularyo Na Lang (2010) to the University Library. 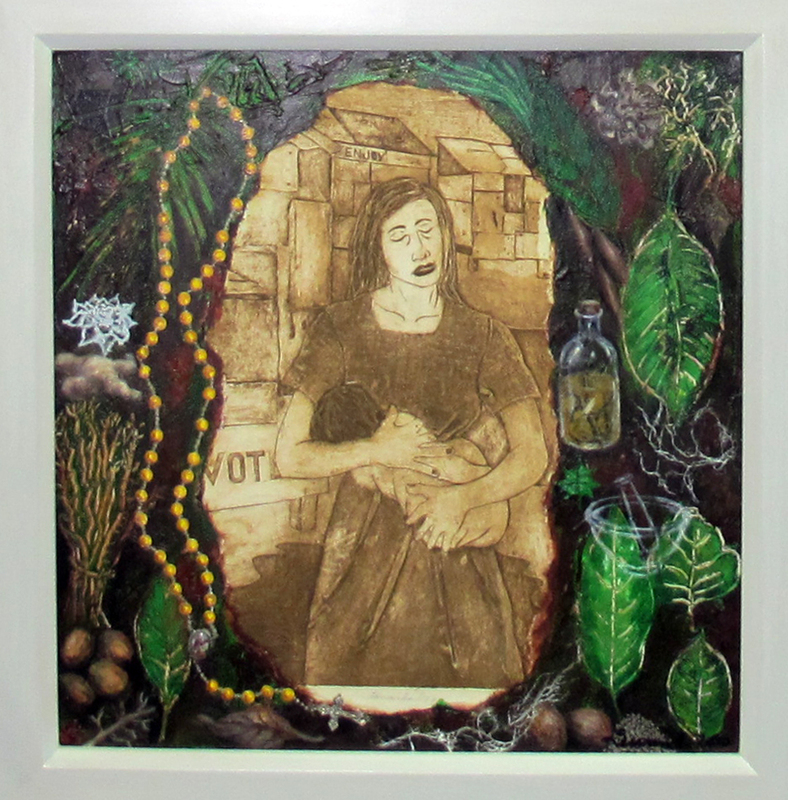 The art piece is a mix-media work consisting of acrylic paints, paper,roots, parts of a rosary and her original collagraph print of a mother and her sick child. It also represents the artist’s interpretation of the plight of many Filipino families’ search for medical relief. Anak May Sakit, Albularyo Na Lang (2010) by Ms. Lewanda Lim. In addition to the artwork, the artist also donated a copy of the book, Filipino Artists in Diaspora, of which she was one of the featured artists. The book, edited by Thelma B. Kintanar, can be found at the Filipiniana Books Section of the University Library. Published by Anvil Publishing in 2011. Book Launching Videos – click to view – Youtube Link 1 and Link 2.